The knee is made of three parts or compartments. The compartments are the medial or inside of the knee, the lateral, or outside of the knee and the knee cap and the groove that it rides back and forth in. 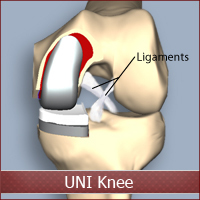 We have technology today that allows a trained surgeon to replace any one of the compartments called a Unicompartmental Knee Replacement (UNI). 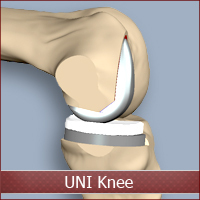 The UNI knee has the potential to function and feel more like your own knee, especially during activity!